The CAC strives to create a culture that values and respects diversity and inclusion. To help make our goals become reality, we have integrated diversity and inclusion into the core of our program offerings, leadership and mentorship programming and education competencies. The CAC is committed to reaching out in order to leverage diverse points of view, and capabilities from all of our members and encourage them to participate in all of our programs and events. In keeping to the core values of National AMWA’s Diversity and Inclusion Section, we will work together across the organizations, healthcare practices, cultures and communities that make up the Chicagoland area. Culture is often described as the combination of a body of knowledge, a body of belief and a body of behavior. It involves a number of elements, including personal identification, language, thoughts, communications, actions, customs, beliefs, values, and institutions that are often specific to ethnic, racial, religious, geographic, or social groups. For the provider of health information or health care, these elements influence beliefs and belief systems surrounding health, healing, wellness, illness, disease, and delivery of health services. The concept of cultural competency has a positive effect on patient care delivery by enabling providers to deliver services that are respectful of and responsive to the health beliefs, practices and cultural and linguistic needs of diverse patients. Why is cultural competency important?Cultural competency is critical to reducing health disparities and improving access to high-quality health care, health care that is respectful of and responsive to the needs of diverse patients. When developed and implemented as a framework, cultural competence enables systems, agencies, and groups of professionals to function effectively to understand the needs of groups accessing health information and health care—or participating in research-in an inclusive partnership where the provider and the user of the information meet on common ground. 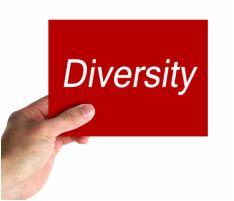 What is NIH doing to promote cultural competence? The NIH recognizes the challenge presented by the health care needs of a growing number of diverse racial and ethnic communities and linguistic groups, each with its own cultural traits and health challenges. The NIH recognizes the need to apply research advances in such a way as to ensure improved health for all Americans. Current efforts through NIH research and that done by other groups and agencies contribute to identifying further potential links between reductions in health disparities and appropriate delivery of health information and health care. NIH communications offices develop and disseminate resources they have designed with communities and using public engagement norms. Because a number of elements can influence health communication—including behaviors, language, customs, beliefs, and perspectives—cultural competence is also critical for achieving accuracy in medical research. Poor planning in medical research, planning that does take into account principles of cultural competence, may yield inaccurate results. WHERE CAN I LEARN MORE ABOUT CULTURAL COMPETENCY? Much of the information widely used concerning cultural competency derives from groundbreaking series of monographs on development of a culturally competent system of care called, Towards a culturally competent system of care: A Monograph on Effective Services for Minority Children Who Are Severely Emotionally Disturbed (Terry L. Cross et al., 1989).